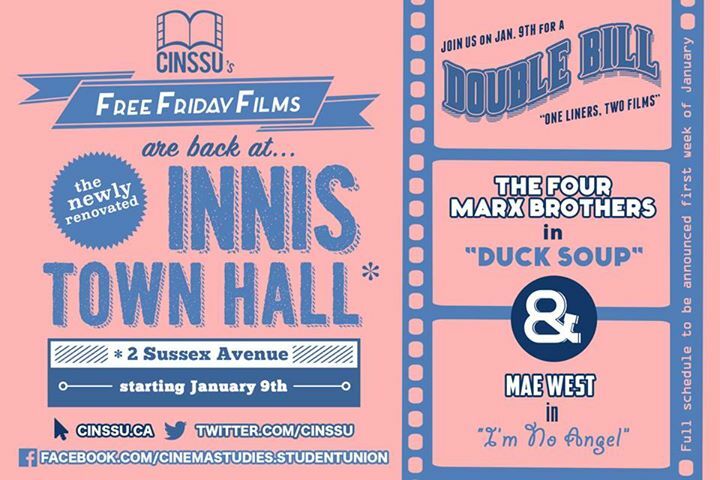 CINSSU’s Free Friday Films come back home to Innis Town Hall with this comedic double bill featuring the Marx Brothers in DUCK SOUP followed by the one and only Mae West in I’M NO ANGEL. 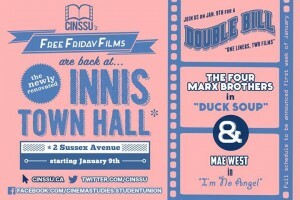 Come and ring in the new year and the new Innis Town Hall with laughter and these classic films! We’ve missed you CINSSU.